Hear from Sleek and Smooth Hair’s customers. Read their testimonials and see the before and after photos on our website. 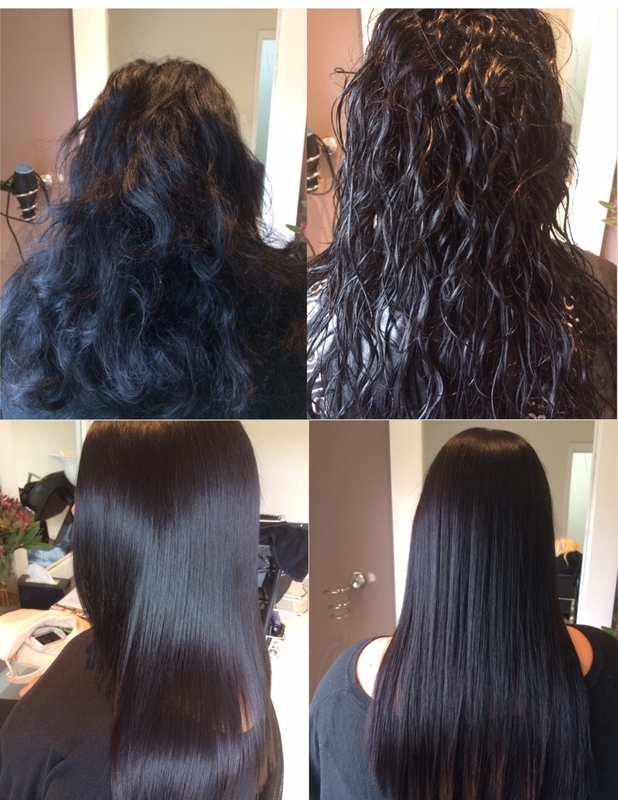 If you would like to make an appointment to have your hair permanently straightened using the Japanese Permanent Hair Straightening treatment or Agave Smoothing please call 0437 295 390. Hi Zoe, I just wanted to say the biggest thank you for straightening my hair. I love it. I have washed my hair since several times and it feels amazing. I've quickly dried it for 5-10 minutes with my head upside down just to get it dry and it looks like I've had it done in a salon. Today I washed it and let it dry naturally and it's still straight and so soft. My hair has always felt like thick wire and now it feels like it's someone else's hair. Below are some photos of it dried with the hair dryer and naturally. Seriously I don't think you can tell the difference. Everyone who sees it is truly in disbelief that this is even possible. I wish I'd done it sooner. You have been talking to me about Japanese hair straightening for years and my only regret is that I didn't do it sooner! Thanks so much. I never thought anything could tame my hair. I am one very happy customer. It used to take me around an hour to blow dry and straighten my thick hair and now it takes ten minutes if that!!! So finally after 72 hours I washed my hair, I was nervous thinking it might not have worked. But all I can say is.... WOW!!!! My hair really is straight!!!! Normally when I wash my hair after it's been straight for a few days it feels really stringy and hard but not this time, it felt smooth and silky to the touch... And what about the fantastic Agave Shampoo and Conditioner products they are amazing and my hair feels fantastic!!!!! This treatment is exactly what I needed as a busy full time working mum, it was so great to be able to wash my hair and give it a quick 3 minute blow dry and off I go! You have a new client for life, Thanks again Zoe.